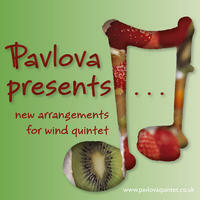 Pavlova Wind Quintet: Exploring unusual, exciting areas of the classical and non-classical wind quintet repertoire. 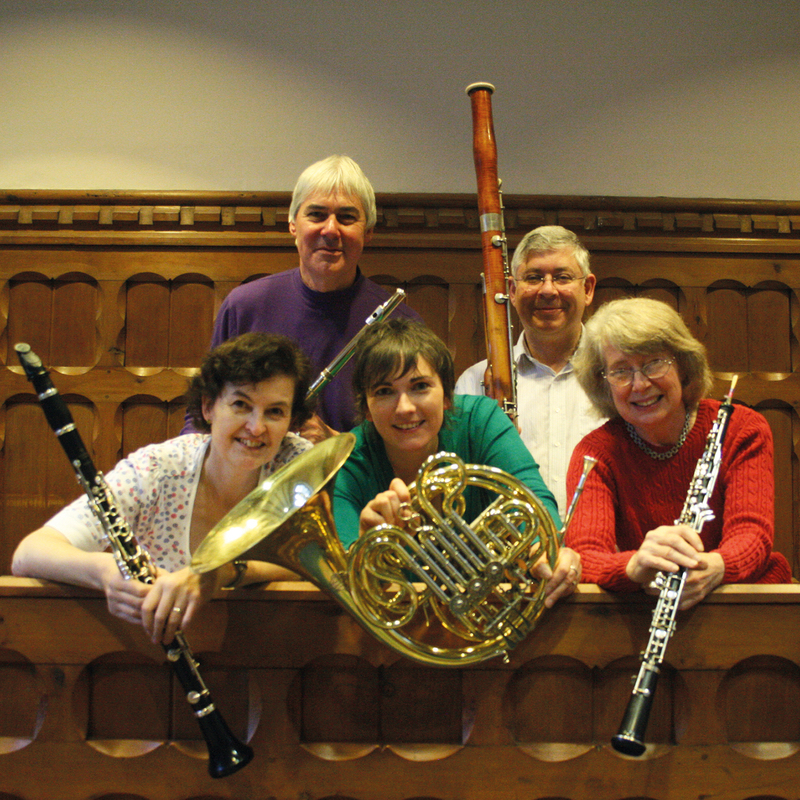 The Pavlova Wind Quintet was formed in 1999 by Simon Payne along with fellow-founder members Carolyn King and Chris Britton. The aim of the group, based in Oxford and Abingdon, England, has been from the outset to explore the more unusual and exciting areas of the wind quintet repertoire, and over the years it has become one of the most enterprising and high-profile ensembles in Oxfordshire. Its name was taken from the road where Simon lives in Abingdon (Anna Pavlova Close), the initial main venue for our rehearsals. It was the former site of the Pavlova Leather Works, whose owner was a big fan of the famous early 20th century ballet dancer. The group's impressively broad repertoire includes music in a huge variety of styles, from arrangements of light-hearted favourite tunes to the more substantial and demanding classics for wind quintet. We take a delight in mixing the familiar and unfamiliar, classical and ethnic, serene and virtuosic. Our concert tours have taken us to France and Germany on twin-town visits (Grenoble, Bonn, Argentan and Colmar) and have resulted in concerts in unusual venues, for example an immigration detention centre near Oxford, a castle in Devon, and a German department store! Many of our concerts are built around themes, with a South American one including first UK performances of dance suites by the Brazilian composer and conductor Julio Medaglia. Typically unusual, this, our first CD, is based entirely on arrangements of piano and orchestral pieces, here recorded for the first time. Christopher Britton was born in London, but has lived in Oxford since 1983, where he is well-known as a professional flute and recorder player with a busy teaching practice on both instruments. He received his earliest intensive musical training as a Junior Exhibitioner at the Royal College of Music, going on to study music and German at Birmingham University. He has been a student in private lessons and masterclasses of such distinguished flautists as James Galway, Susan Milan, Peter-Lukas Graf, Atarah Ben-Tovim, Graham Mayger, Delia Ruhm and Peter Lloyd. He has freelanced with BBC orchestras, occasionally appearing as a concerto soloist and broadcasting frequently on BBC Radio 3, playing under such eminent conductors as Norman Del Mar, Richard Hickox, Rudolf Schwarz and George Hurst. More recently he has been playing with local professional orchestras, occasionally as a soloist, as well as in diverse forms of chamber music: with the Pavlova Wind Quintet (since its founding in 1999), and in a duo with the guitarist Raymond Burley. Recent concerts have featured him in events as extraordinary as appearing with the Oxford Trobadors in performances of Occitan songs and improvising with ex-Swingles Singer Wendy Nieper! He also enjoys playing Latin-American songs and other folk music with his trio Serendipity (flute, guitar and percussion - www.serendipity-music.co.uk). In 2006 he recorded a CD of music by J.S. Bach for solo flute for Magnatune (Counterpoint for One). He is a keen pianist, and this has inspired him to arrange piano music, mainly for the Pavlova Quintet, with much of his work in evidence on this album (Pavlova Presents....). He is also interested in ethnic flute-playing styles and has performed on the Irish flute and the Peruvian quena. Carolyn KingÂ studied the oboe with Natalie James and Anthony Camden. She read biochemistry at Lady Margaret Hall, Oxford, and at University College, London. She completed several years of post-doctoral research in Oxford before relinquishing her scientific career to concentrate on music. She has subsequently built up a busy free-lance career both as an orchestral and solo player, and has toured extensively in Europe with the City of Oxford Orchestra where she was the principal oboe for many years. She has long been in great demand as a teacher in the region, but has now given up her teaching practice to focus on playing. She is the founder of the New Oxford Ensemble and a founder-member of the Pavlova Wind Quintet. She is very interested in how dyslexia affects music sight-reading and has recently completed an MA at Reading University on this subject. Barbara StuartÂ studied the clarinet at the Royal Academy of Music with John Davies and Georgina Dobrée where she specialized in the E flat clarinet, studying with Richard Addison (Principal, Royal Philharmonic Orchestra). In her final year at the RAM (and on her twenty-second birthday) she won the Mid-Northumbrian Arts Group National Clarinet competition with the amazing prize of any clarinet she chose, and the opportunity to perform a concerto with the Northern Sinfonia at Alnwick Castle. Barbara's day job is working for Oxford University Press marketing printed music. Barbara plays clarinet regularly with local orchestras including the Oxford Sinfonia, the Oxford Chamber Orchestra and Woodstock Choral Society, and plays the E flat clarinet and bass clarinet in several others. She was first invited to join the Pavlova Wind Quintet for their Christmas concert in 2001. Jenny MorganÂ studied the hornÂ under the tuition of Alfred Dowling in Liverpool and Anthony Halstead in London. She was a member of the National Youth Orchestra of Great Britain from 1989 - 1993, and has regularly played with numerous orchestras in the North West, including the Liverpool Mozart Orchestra. Jenny read Music at Jesus College, Oxford, where she undertook a wealth of orchestral and chamber playing, notably performing the Britten Serenade for Tenor, Horn and Strings and the Schubert Octet with the Allegri Quartet. She was also Musical Director of OUDS where she wrote the scores for over a dozen university productions. On graduating, Jenny pursued a career in financial services in London. She became a member of the Pavlova Quintet in 2005, and now combines playing and teaching with looking after her two young children. Simon PayneÂ was brought up in Colchester and started playing clarinet, changing to bassoon at 14. He played in many local orchestras, in the Essex Youth Orchestra for six years, and the British Youth Symphony Orchestra for two years. While reading Classics at New College, Oxford he played the bassoon in the University and Oxford Symphony Orchestras, and in two wind quintets, and began teaching bassoon in Oxford schools. After working for some time in London as a publisher and playing bassoon for Morley College wind group and for Abbey Opera he returned to Oxford and played regularly in a wind sextet performing 18th century wind music in costume in country houses. He plays with the Oxford Symphony Orchestra, Oxford Sinfonia, Cotswold Chamber Orchestra, Kidlington and Woodstock Operatic Societies, Bampton Opera, Henley Symphony Orchestra and various wind ensembles. He founded the Pavlova Wind Quintet in 1999. As chairman of The Oxford Sinfonia he helped to increase its profile and attract top-quality conductors and soloists. HeÂ was Development Manager for the Â Oxford Philomusica from 2009 to 2013, and is currently General Administrator of the Orchestra of St John's, director John LubbockÂ http://www.osj.org.uk. Pavlova Wind Quintet lives in Oxford, England. Tagged as: Classical, Contemporary, Romantic Era, Classical Period, Instrumental, Composer: Edvard Grieg, Composer: Pyotr Ilyich Tchaikovsky.